Her Majesty’s Courts and Tribunals Service (HMCTS), responsible for court administration in England and Wales, pays considerable attention to public presentation of its online court modernisation programme, which it boasts as the most ambitious in the world. The previous blog questioned its somewhat relentless optimism. Now, we discover (credit here for Legal Futures that first raised this) that there is more to say about the court programme. The Ministry, has, in three pages buried deep in a document issued as Treasury Minutes, made important commitments in relation to criticism of HMCTS performance by the House of Commons Public Accounts Committee. This has gone publicly unremarked by the HMCTS itself. Such silence is remarkable because HMCTS pays considerable attention to public presentation. It has a website dedicated to its reform programme. It publishes ‘Reform Updates’, most recently dated Autumn 2018. It also produces a monthly bulletin, the most recent dated October 2018. It claims to release the ‘latest news and announcements on its government page. So, failure to note either the original criticism and its own response goes somewhat counter to its commitment to public accountability. Its latest reform update has a whole section entitled ‘We want to hear your views’. It would be unfortunate if that implied a rider: ‘unless they are critical’. The PAC report was launched by the committee under the disparaging headline ‘Little confidence sweeping courts reforms can be delivered’. So, it was neither ambiguous nor nuanced. This is not the sort of report that, as a civil servant or minister responsible for a programme, you want to see. The committee is bipartisan and limits itself to financial and non-political questions. Its work is highly regarded. In its response, the Ministry sets out the HMCTS objective and indicates its importance to the cuts programme: ‘By March 2023, HMCTS expects that 2.4 million cases per year will be dealt with outside physical courtrooms and will employ 5,000 fewer staff. HMCTS expects to save £265 million a year from these changes, which will come from lower administration and judicial costs, fewer physical hearings and running a smaller court estate. These savings are expected to contribute around half of the total savings the Ministry of Justice committed to in the 2015 Spending Review.’ Let us observe the express absence of any reference to increased access to justice. The Ministry states the PAC conclusions. En masse, you can see how damning they are. 1: PAC conclusion: The Committee has little confidence that HMCTS can successfully deliver this hugely ambitious programme to bring the court system into the modern age. 2: PAC conclusion: HMCTS has failed to articulate clearly what the transformed justice system would look like, which limits stakeholders’ ability to plan for, and influence the changes. 3: PAC conclusion: Despite the revised timescale, HMCTS’s imperative to deliver at such a fast pace risks not allowing time for meaningful consultation or evaluation and could lead to unintended consequences. 4: PAC conclusion: HMCTS has not adequately considered how the reforms will impact access to, and the fairness of, the justice system for the people using it, many of whom are vulnerable. 5: PAC conclusion: One third of the way through the programme, the Ministry of Justice still does not understand the financial implications of its planned changes on the wider justice system. 6: PAC conclusion: The Committee remains concerned that the Ministry of Justice is taking on significant amount of change, without a clear sense of its priorities, at a time when it is facing severe financial and demand pressures. The Ministry commits the HMCTS to complying with the PAC to write to it with assurances on this matters by January 2019. That will make interesting reading – though Heaven knows, given Brexit, who will be on the PAC by then. The Ministry of Justice could be forgiven for secretly wishing for a selective Parliamentary armageddon. For our purposes, the most important element is that relating to access to justice. Lord Briggs began the court modernisation programme with reports that promised greater access through an online small claims court. So, it is with particular interest that we should note that ‘the Government agrees with the recommendation’ that the HMCTS explain how it is going to ‘identify and evaluate the impact of changes the impact of changes on people’s access to, and the fairness of, the justice system, particularly in relation to those who are vulnerable’. Well, here, helpfully, is a further restatement of the suggestions for identifying impact on access to justice which have been made earlier. 1. Are there measurements available on the need for court and tribunal services by various elements of the population and how is it proposed that this digitalisation project will prove that it meets those needs? 2. 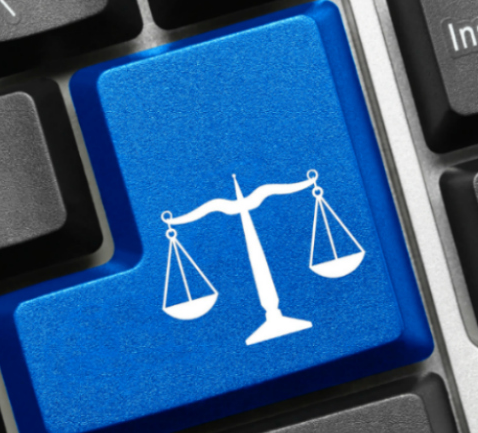 Are there coherent plans for integrating digital court and tribunal services with existing advice and information provision and how will this be measured? 3. What provision will be in place to help those unable to use digital provision; how will its success be measured; and will users have the choice to use non-digital provision? 1. How will individual users or their representatives, such as the major advice providers, be involved in the testing of provision and how will the project be divided up so that feedback can effectively be used and does the planned timetable allow for that? 2. Are their satisfactory arrangements for the integration of representatives into the process? 3. Do the proposed digital procedures comply with the principles of procedural fairness and fair trial? 4. What is the target cost for user fees and what are the target numbers for each stage of the digital procedure and by how much is it intended that the new procedures increase usage? not letting the initiative reach a static or stagnant state. always looking for potential improvements based on user data, staff input and other sources of evidence. Acting on the evidence to implement changes and improvements. Collecting evidence to measure the impact of your improvement activities. 2. Is there provision in the forward budget and the planning process to facilitate these goals. The HMCTS, committed as it is to public consultation, might use these to inform its answers to the committee due in January. Alternatively, it might wish to draft its own version. Either way, its commitment to transparency and willingness to consult surely should lead it to covering the issue on its website and consulting with those interested. It has plenty of time.